Contex’s unique formula naturally cleans and conditions hard and gas-permeable contact lenses while they soak. While Clear Clean is not intended for use directly in the eye, even after rinsing Clear Clean with Saline or distilled water there is still a “comfort film” on the lens. 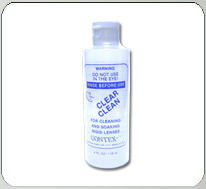 Contex Clear Clean is also excellent for removing make-up. Contex’s high quality standards and innovative formulas have provided "Clean comfortable" lenses for thousands of patients for over 20 years. Note: If lenses fog or feel dry, dirty or uncomfortable, use Contex Polish Brite, then Clean and soak the lenses in Clear Clean for up to 24 hours. If the problem persists, professional polishing may be necessary. Cosmetic additives or oil-based products cannot be removed except with professional laboratory polishing. Safety Packaging - Use only if tamper resistant seal is intact. Warning: Clear Clean is not to be used directly in the eye! To avoid contamination of this product, do not touch tip of container to any surface. 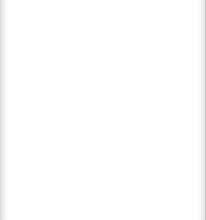 Replace cap after using. Use before expiration date. If solution changes color or becomes cloudy, do not use. If you experience eye pain, changes in vision, continued redness or irritation of the eye, or if the condition worsens or persists, consult a physician. Keep this and all medicines out of the reach of children.